An electrical engineer who has always been intrigued by electronic circuits and went on to make one of Pakistan’s first hybrid electric vehicle kit! That’s Ali Rashid for you, the Founder of CarChabi. Born into a family of government employees, Ali’s deep interest in technological development always made him challenge the norms right from his childhood. His inclination towards dissembling stuff to gain better understanding of creating products and his eagerness towards coming up with new ideas set him on course for a bright future ahead. The extent of which can be identified from his effort of making a PTCL internet router in his neighborhood to meet his expenses or using his Suzuki FX car to fit an electric kit in it. Last year, he founded CarChabi which was an IoT-focused startup that used an app along with a hardware kit to allow you to control your control from your smartphone. The day he graduated from Plan9, he had generated around 15 lakhs in revenue which got doubled in just seven months since their launch. 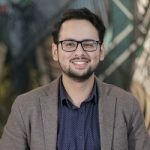 Previously, he along with his co-founder have also won at the LUMS Throw-a-thon competition and were also shortlisted for TIE’s top 15 startups that year. 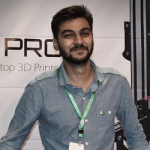 They are the first Pakistan-based hardware startups that has made so far and have recently secured USD 150,000 in seed funding. 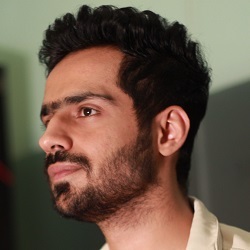 Recently he has formed his own automation company RoboArt with the primary aim of making Pakistani lives better by addressing their immediate needs. One of its first products “Gatelocks” would unlock your home by just using your smartphone! As of now, the company is also working towards identifying new opportunities in the field of car securities and in the longer run, they wish to develop products related to prosthetic limbs and defense systems. Over the years, Ali has learnt not to listen anyone’s discouragement and transforms them into motivation to keep developing innovative products. His ultimate aim is to use all his expertise and one day live up to his university nickname of Tony Stark by creating Pakistan’s first Ironman suit!